september first, i can't believe its youuu. 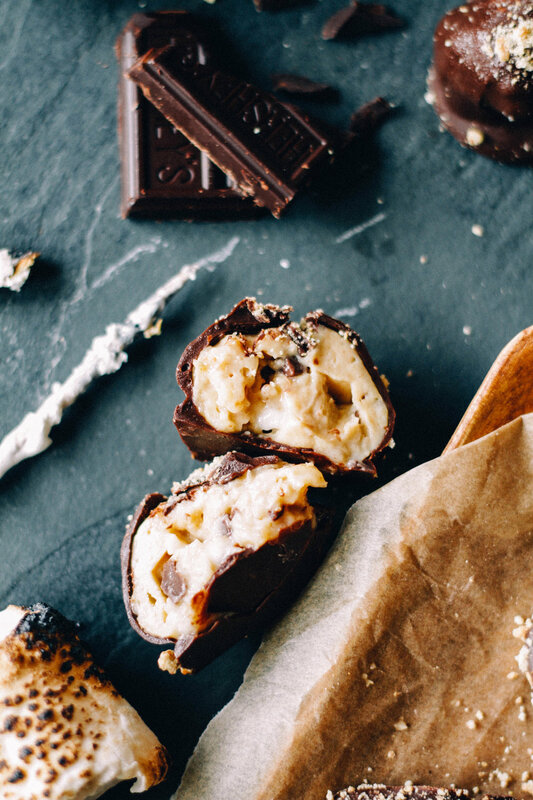 you may have a bunch of leftover s'mores fixings laying around from summer just gettin' stale and sticky in the cabinet. i'd highly recommend you throw them in a skillet and make a fabulous s'mores dip! i also highly recommend you invite every last neighborhood child over for this event...holy hell i thought i was going to die after 3 bites. dis how i really know i'm getting elderly. also had to throw 97% of this mallowy delight in the garbáge because i thought i was ruining the skillet. oh settle down, grandma quinn. i happened to have this tillamook fireside s'mores ice cream in the freezer. heHehHHHH. so i plopped it on top o the s'mores skillet! its totally unnecessary, but delicious. 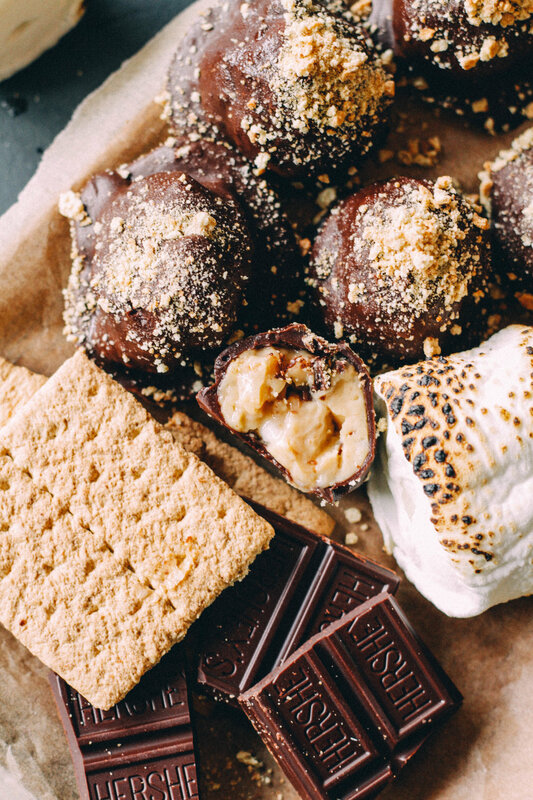 enter the extravaganza of extra s'moresy s'more galore explosion of summer good-byes. the hot + cold combo was quiiite the delight. just dunk and swirl those grahams around in this mess and get crazy. If using a cast iron skillet*, pre-melt the Hershey's chocolate in a bowl with coconut oil or a little butter in the microwave or over a double boiler. Additionally, grease the cast iron with either oil. Pour the chocolate into the pan and top with marshmallows. Heat in the oven until the mallows are golden brown and puffy - about 5 minutes. If using a stainless steel pan, grease the pan with coconut oil or butter. Break up the chocolate bars, place them in the pan and heat in the oven for about 5 minutes until melty. Top with marshmallows and return to oven until they're golden brown and puffy. Remove from oven and top with scoops of s'mores ice cream - this is Tillamook Fireside S'mores! This step is also completely optional. Dip and scoop the mallowy, chocolatey, hot & cold creamy goodness with graham crackers. enjoy the tail-end of summer!! !